La Castafioreis a very special themed restaurant, where nothing of what happens will leave you indifferent. Special, because it is not usual that the same waiter that served you the wine starts to sing suddenly “Nessum Dorma”, making you feel you are at the Royal Theater. And all this experience while you taste our Spanish cuisine, like an excellent beef tenderloin with foie or a deliciousskewer of monkfish and prawns. 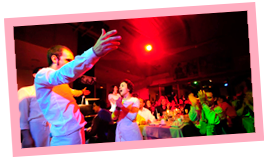 And, above all, special due to the musical magic of our spectacular and modern show that will surround and trap you and will make you enjoy with wonderful emotions in an original and fun foodie-musical environment, full of art and joy, that turns a dinner beyond an experience. 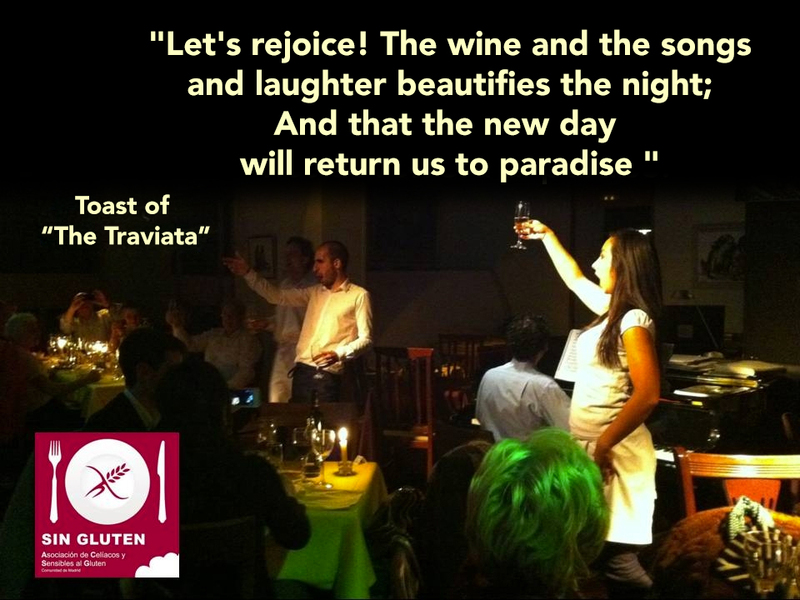 As stated in the press: "La Castafiore is a restaurant that nourishes the soul". We invite you… to the musical magic. La Castafioreis a “captivating restaurant” for corporate events, weddings, parties, Christmas celebrations, anniversaries, birthdays… that surprises all guests. 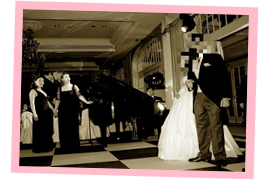 Also, we have all the technical requirements you need to have the best event organized. And, of course, we go out to sing wherever you are holding t event, wedding or party. Call us and we will make it possible. Estos son nuestros menús de grupos para esta Navidad que ya está a la vuelta de la esquina. 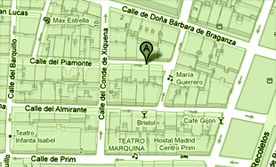 ¡Visita nuestro blog y entérate de todos nuestros eventos!